J’ai essayé presque tous les produits capillaires sur facebook, mais aucun ne fait ce que les vendeurs disent. Celui-la, dès la première application arrête la cassure de mes cheveux et à partir de deux semaines, mes cheveux commencent à pousser. 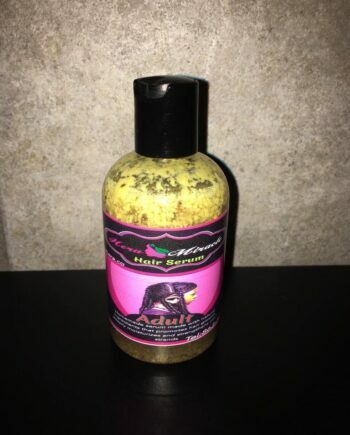 C’est le meilleur produit capillaire sur le marché. Merci d’avoir apporté hera miracle à notre communauté. 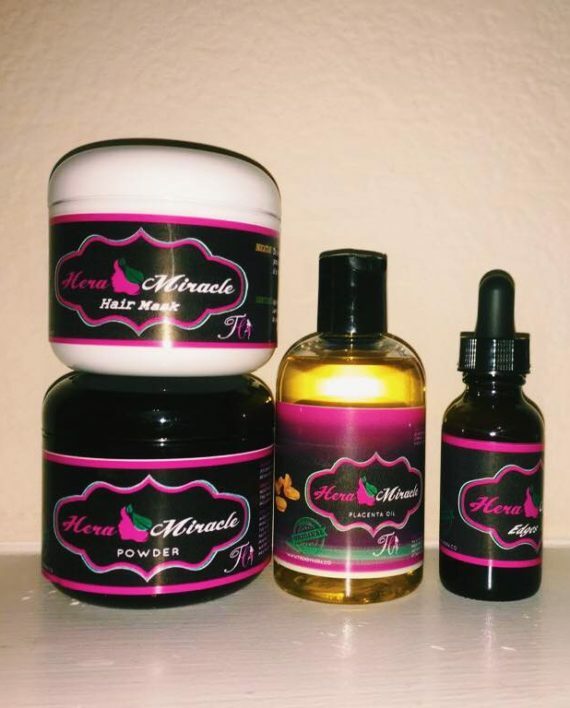 Thanks for using Hera Miracle’s Products! I did not say anything yet. 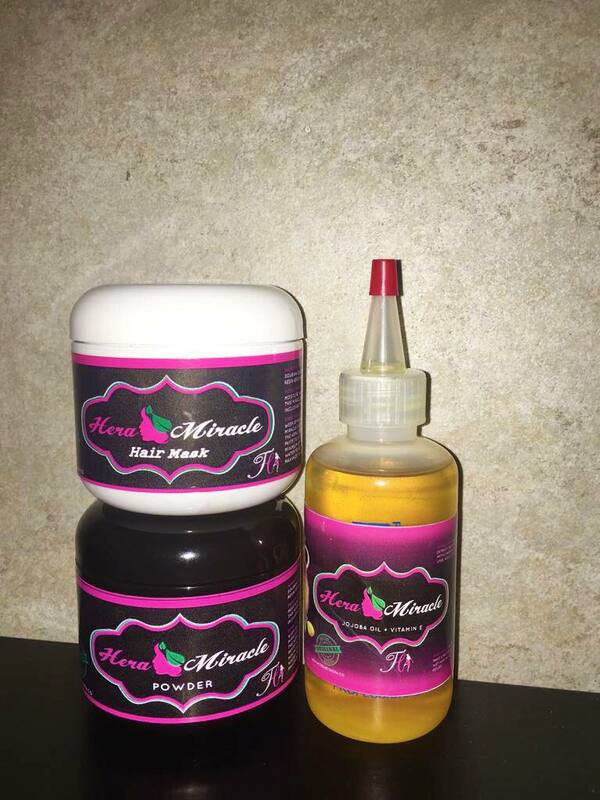 What are the ingredients in these products? It is no where to be found. Also cN you please tell me if you can use it on perm hair. I want to buy it. 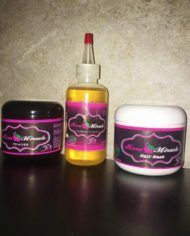 How I can get that product to make. My hair become longer than they were before I cannot find any product to make them grow i lose my hair . 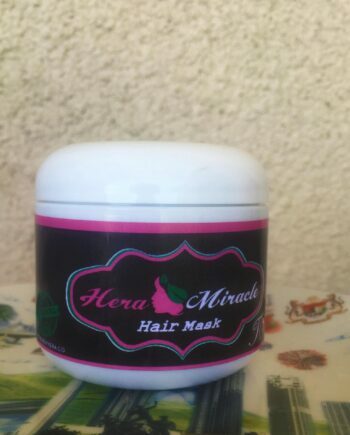 You knock at the right door deary Hera Miracle’s products are exactly what you need for your hair. 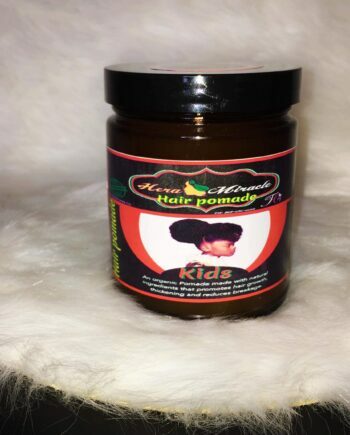 Buy the Combo, it will stop the breakage and help them grow. These products speaks for themselves. You won’t regret using them. 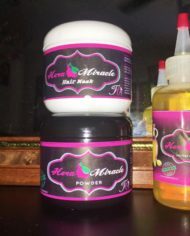 Produit sa bon anpil anpil depi premier jou m utilizel mwen we chanjman sa fé 2 fwa m achtel mwen ap continue sevi avel paske li fé chevem bien. Mesi poutet ou sevi ak pwodui Hera Miracle yo. Em kontan tande ou jwen rezilta. Kontinye sevi ak yo pou plus rezilta dear. Try it dear you won’t regret it. Est ce que ce produit peut être livré au Chili? Is this product can be delivered to chili? I LOVEEEE IT!!! 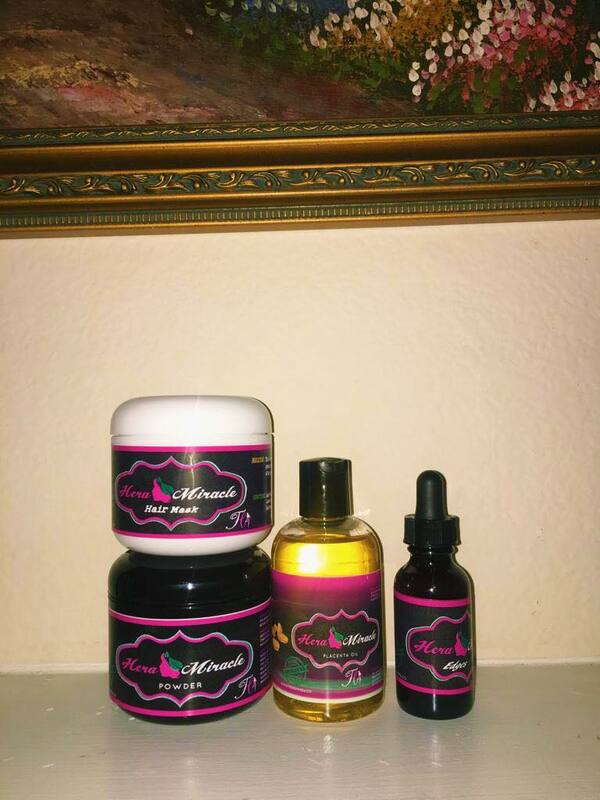 This my first time ordering and trying the products and I love them already I’m a forever customer. I can’t wait to order more. Thanks for using our product! 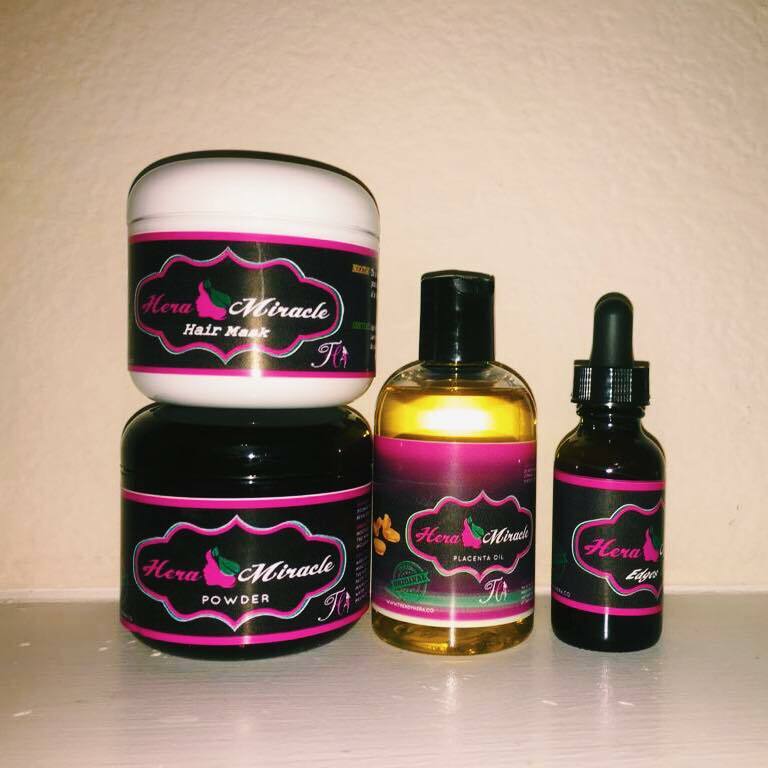 I’ve been using these products on my hair for over a month now and I’m in love with them. 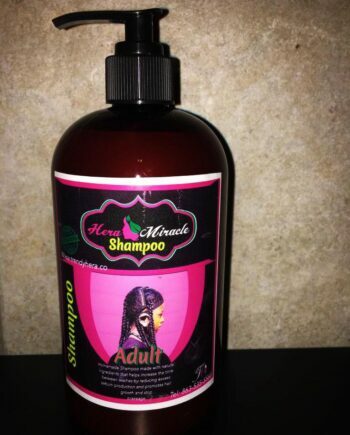 Before ordering this, I was struggling with dry, itchy scalp and nothing would provide relief. 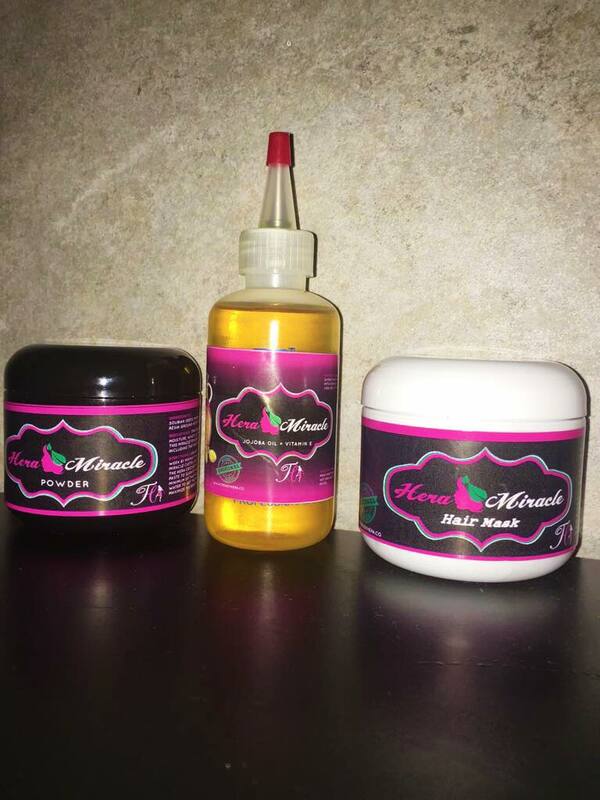 One of my friends reviewed and recommended these products so I decided to try them. 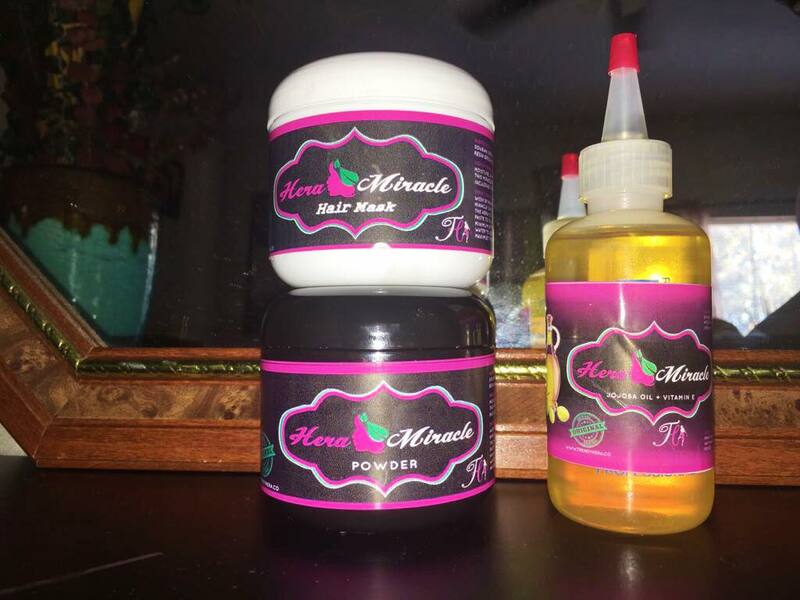 The hair mask smells so good, It leaves my scalp feeling great and the itchiness and flakes have calmed down a lot. I’ll definitely order again. Thank you! Love these stuffs. Stopped breakage and shedding. Started using a week ago can already see new hair growing from follicles. 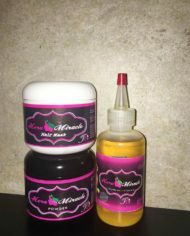 Maxi Combo (Hera Miracle 4oz Powder, 8oz Hair Mask, 16oz Shampoo & Conditioner, 9oz Pomade, 4oz Jojoba oil and 1oz edges oil.